Strangely enough this is a very unusual book. 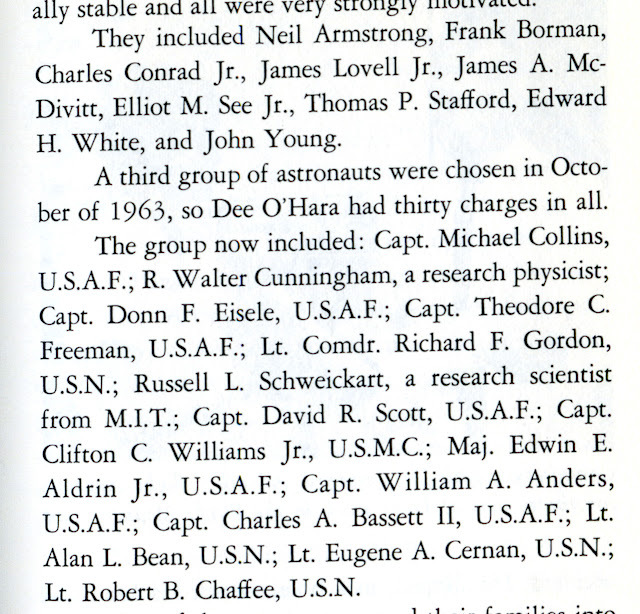 How many do you know of for children that were about women in the U.S. Space program? 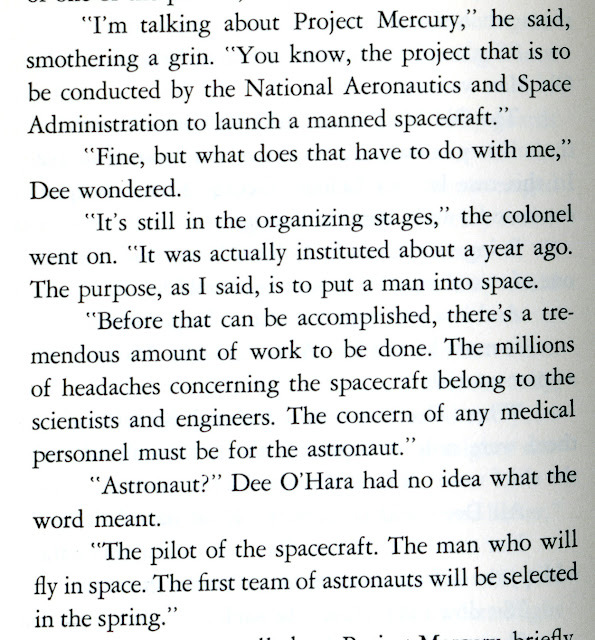 I only know of one or two others so I was very excited to find this. 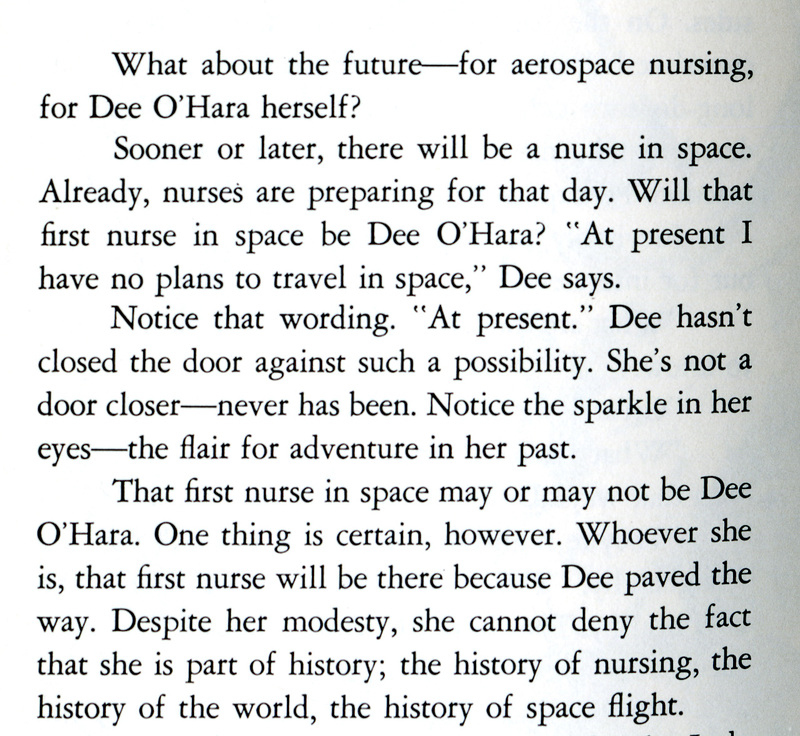 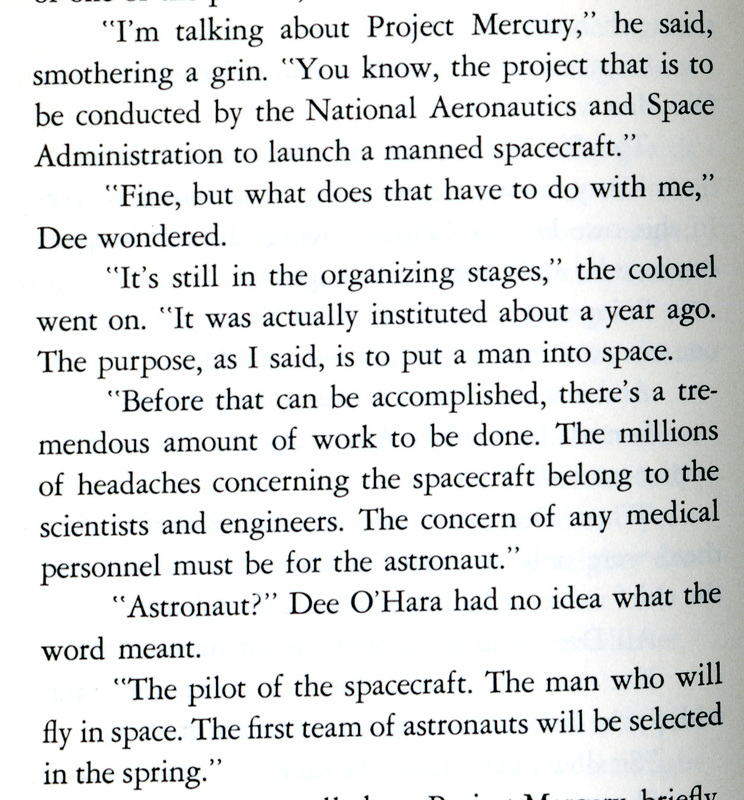 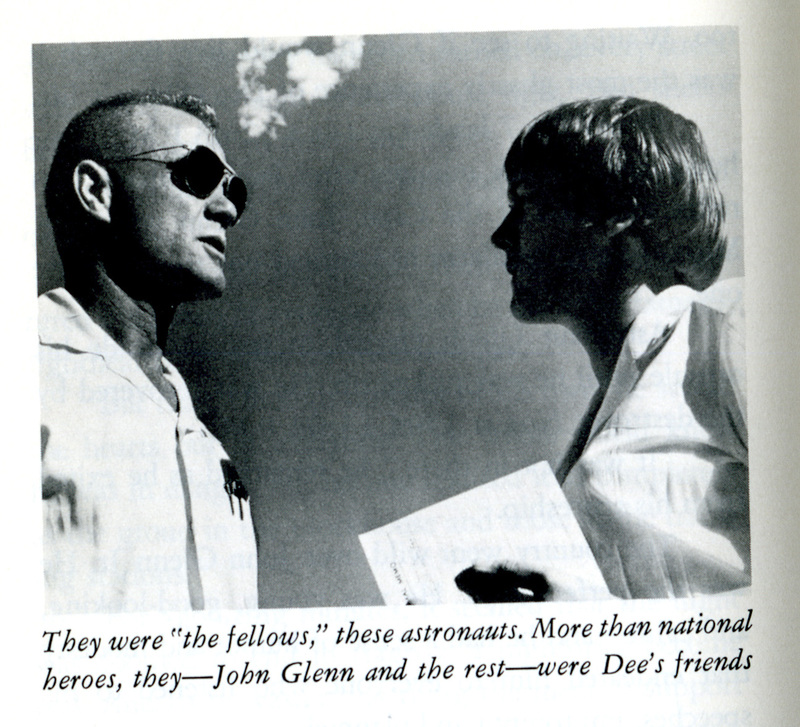 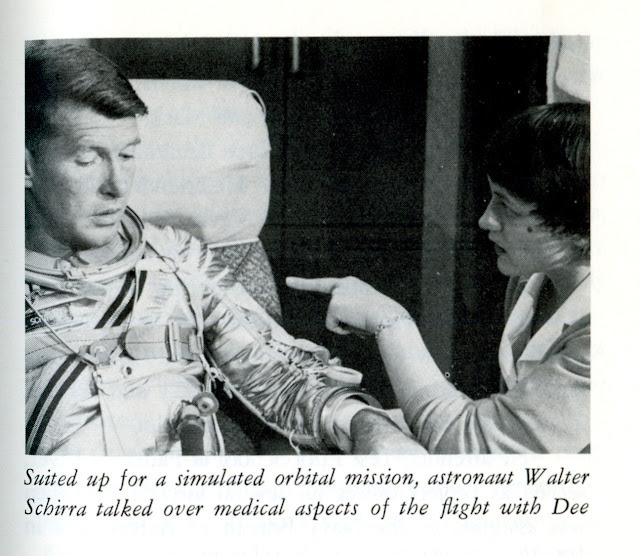 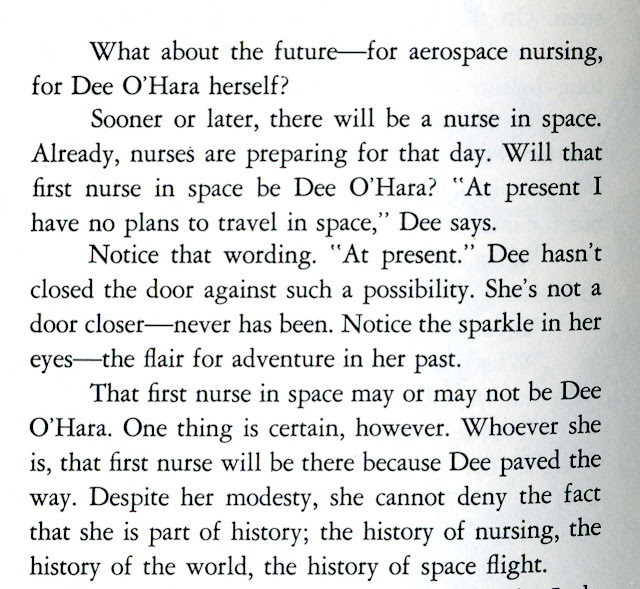 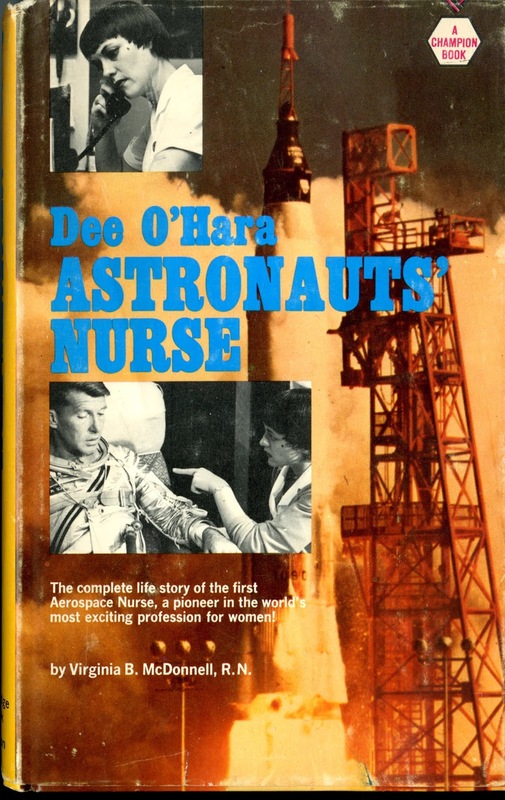 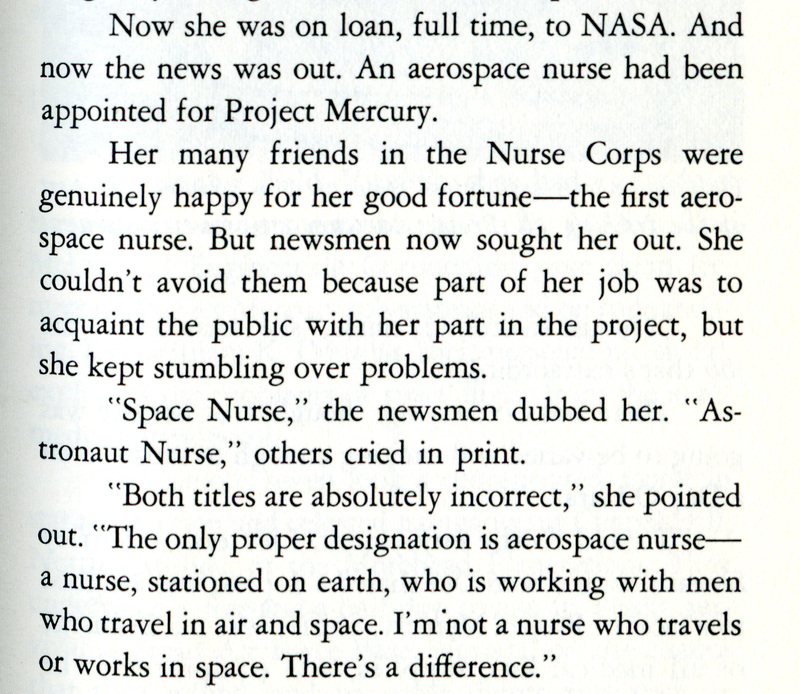 Dee O'Hara : Astronauts' Nurse. 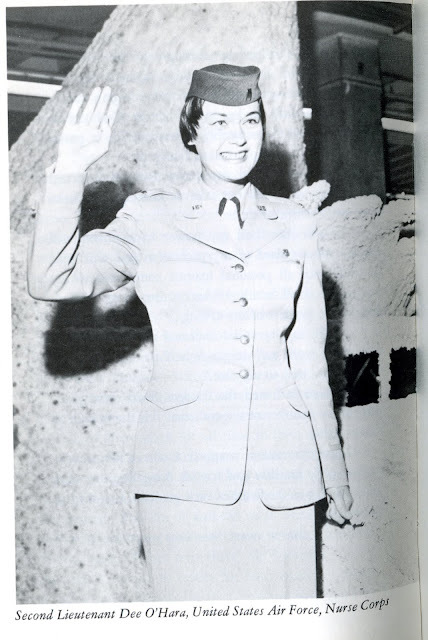 Virginia B. McDonnell. 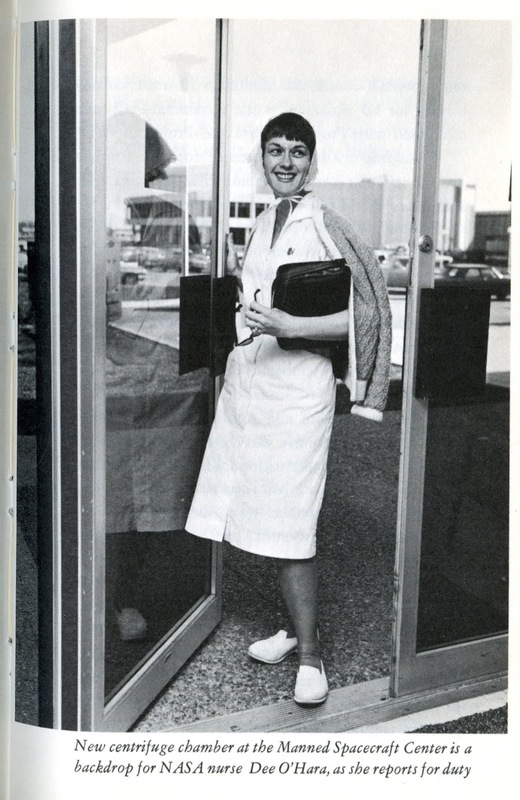 New York : Thomas Nelson & Sons. 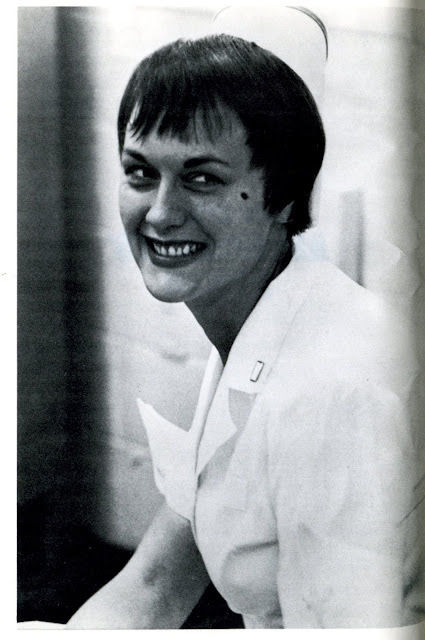 (126 p.) 1965. 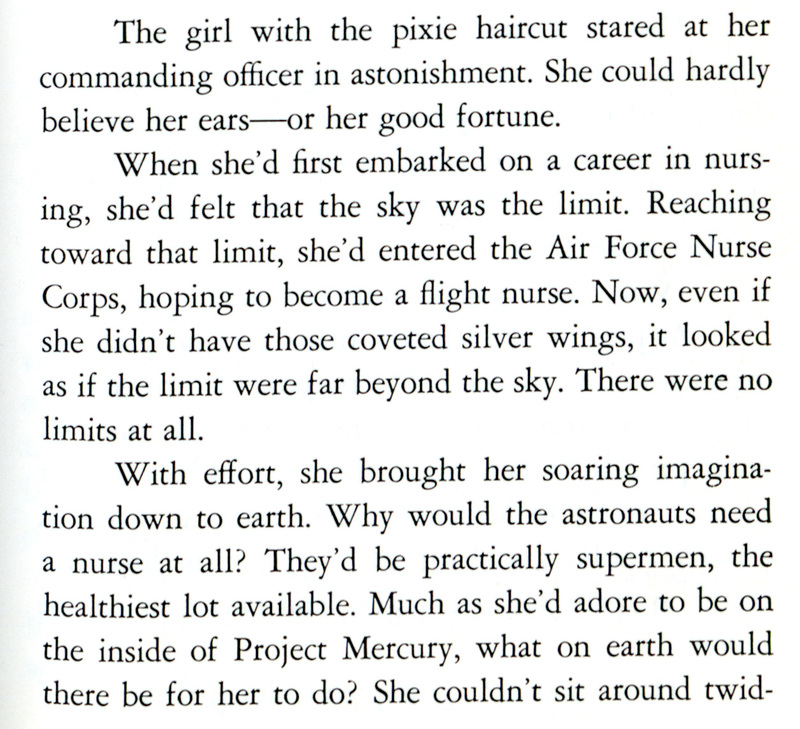 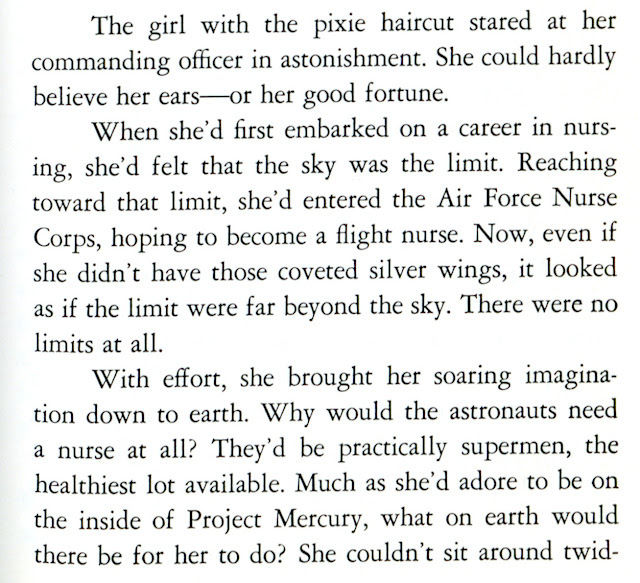 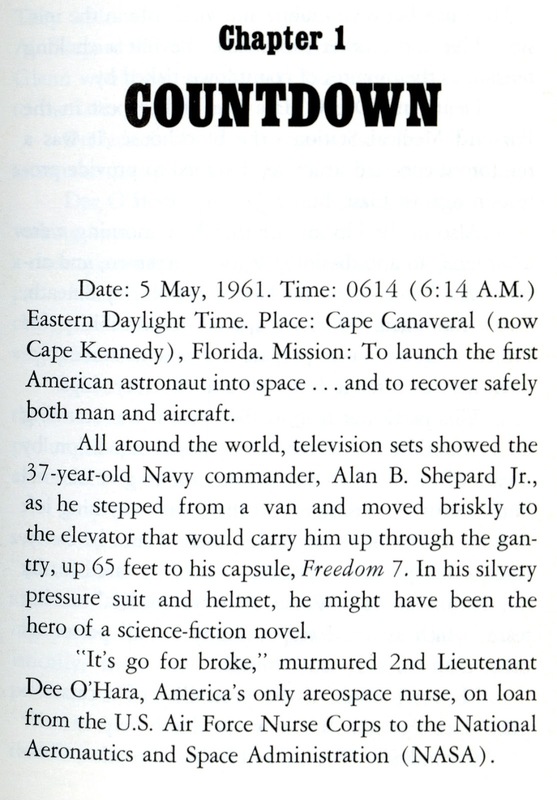 The text tells a simple but compelling story of a Space Hero that I had never heard of. 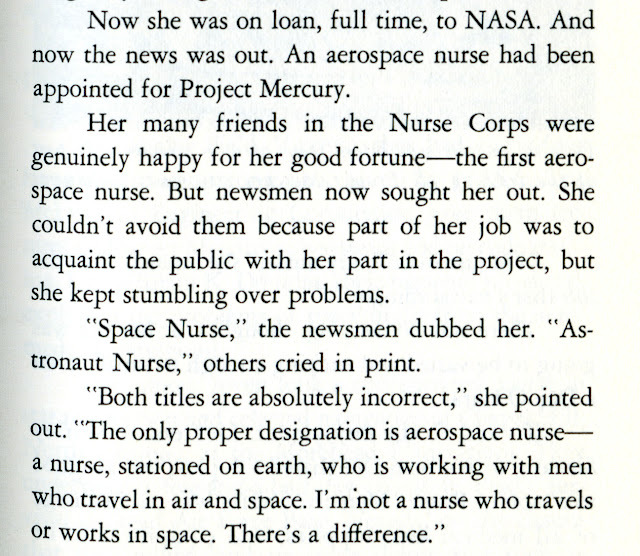 She broke barriers, and like Hidden Figures, here history has not been brought forward. 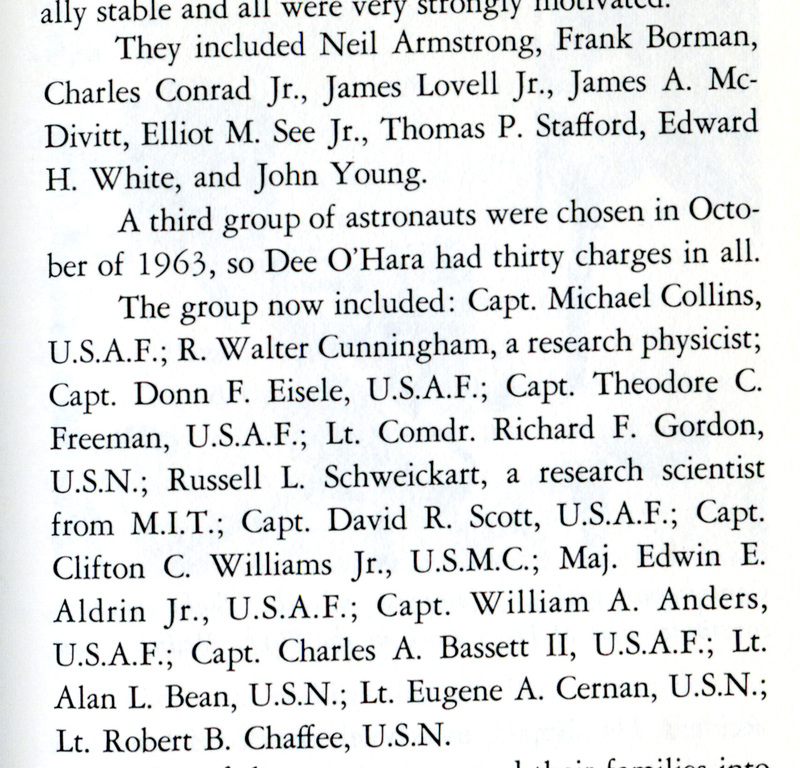 O'Hara participated in every launch in the Mercury, Gemini and Apollo programs. After Skylab, she was also invited to participate in the Apollo-Soyuz Test Program (ASTP) and the first shuttle flight in 1983.